October marks an exciting month for C8, with activity back in full swing after the summer break. But along with the usual day-to-day goings on, the start of Autumn also brings with it Byte Night; Action for Children’s biggest annual fundraiser, an event that represents a huge part C8’s history with our chairman, Ken Deeks, having founded the event 20 years ago. Whilst I cannot be certain, I am fairly confident in saying that the C8 team spent Friday’s cold, chilly autumnal-eve very differently than most. Rather than remaining tucked up in a warm bed in the comfort of our own homes, we, instead, for the 13th year running, joined together with a further 178 individuals to participate in Action for Children’s annual Byte Night event, sleeping rough in the centre of Reading in order to raise awareness and vital funds to combat youth homelessness. As a first time sleeper, I was really eager to get involved. In fact, after having interned with C8 back in 2012 when I was still at university, this corporate social responsibility event was one of the reasons I was so keen to come back! For me, working for an organisation that is engaged in philanthropic causes is something that is really important – after all, I am part of the media-dubbed ‘Giving Generation’, or as we are more widely referred to, millennials. That being said, the actual act of sleeping out was rather daunting. The first few hours went by pretty quickly and could even be described as quite enjoyable, with people sitting up, chatting away. But, when the time came to actually try and sleep, reality kicked in and things quickly become a lot less pleasant. 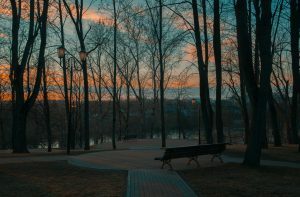 During the course of the night and into the early hours of the morning, you could hear the buzz of people and cars and I couldn’t help but think how terrifying it must be for a young person out there on their own. On top of this, we were fortunate enough to have been afforded the luxury of foresight, something which a number of homeless youth probably don’t have, and were therefore able to bring with us warm clothing and appropriate sleeping equipment. 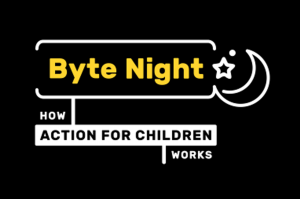 Byte Night works to support some of the 83,000 young people who are homeless in the UK every year through no fault of their own. If you would like to show your support, please go to our JustGiving page here. Whilst, £100 would provide enough money to purchase clothing items for one young person who has nothing. Your generous donation, however small or large will go towards supporting young people lead a safe and happy future and we would like to thank you in advance for your kind support.